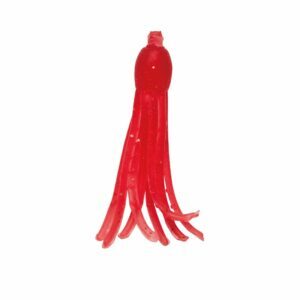 Size: 1.5″ (38mm) 5 baits per pack. Nikko’s newest & smallest octopus! Great for crappie, trout, and other fish. Super stretchy. Long lasting through many fish and multiple uses. Some common freshwater rigging methods. Hollow head accepts weights or jig heads.